Delicate engagement rings feature a simple, often minimal design that typically includes fine bands, smaller sizes stones and simple details. In recent years, this style has become very popular – especially among those who favour a minimal style of engagement ring. If your tastes run towards the delicate and dainty, you are sure to find this type of ring the perfect choice for your dream ring. 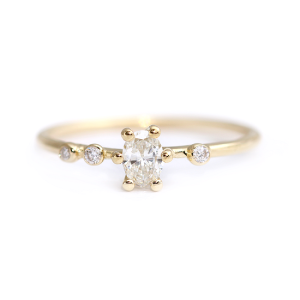 Looking for the daintiest, most delicate engagement rings? Get inspired by these oh-so-delicate rings that are subtle, feminine, and breathtaking in their simplicity. Flattering for all hands, pear cut diamonds can be worn with the point facing up or down. The romance and elegance of this shape are made even more beautiful with a champagne coloured diamond rather than a classic white diamond. 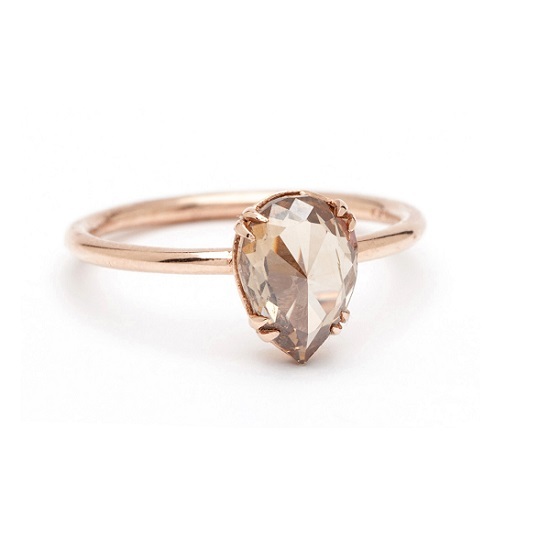 This continues the warmth of the delicate rose gold band, resulting in a rosy, pink-hued ring that is ultra feminine. 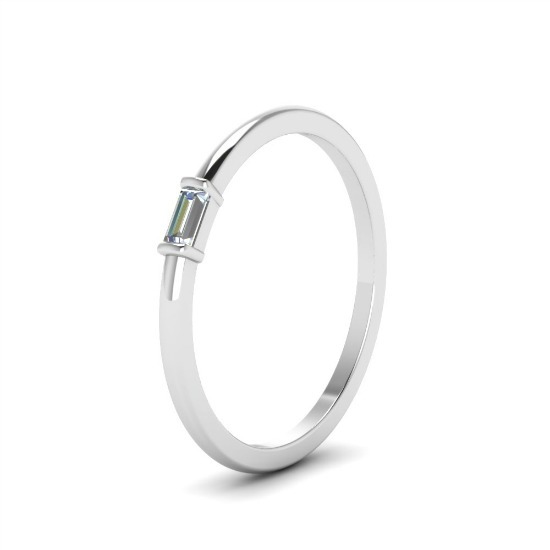 As beautiful as this ring is in this colour combination, it would work equally well in any metal with a black or white diamond. This modern asymmetric engagement ring is set with a sparkly oval cut diamond in its centre, along with a few additional side stones that add visual detail. The setting of this ring adds more impact to the overall design, giving it a quirky touch that is sure to appeal to modern brides-to-be. Working beautifully in yellow gold, this style would be equally unusual in rose gold, white gold or platinum. For additional detail, you could even add coloured diamonds on the side or as the centre stone. 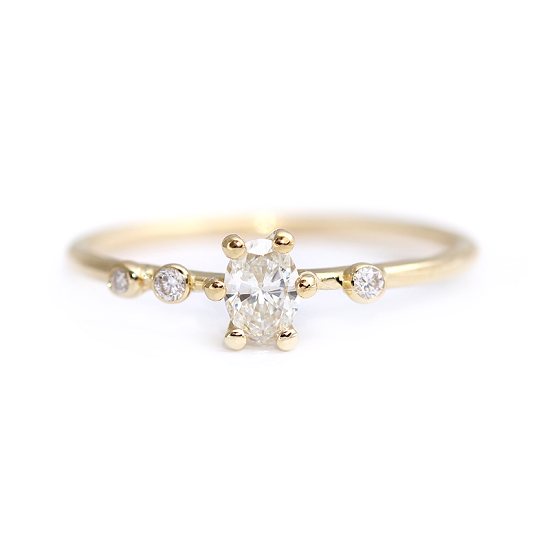 A teeny tiny single baguette diamond makes this ring as understated as it gets. For brides who are not big jewellery wearers, this ring is paired down to a simple band with a tiny stone set deep into the band. Additional pave stones could be added to maximise the sparkle. Whichever metal or diamond colour you choose, this ring is dazzling in its sheer understated simplicity, standing out in a sea of bold rings. It would also work well when stacked with additional rings. Five stone rings are classic, sophisticated, and beautiful, with a series of stones ranging in size from smaller stones on the outside to larger stones in the centre. 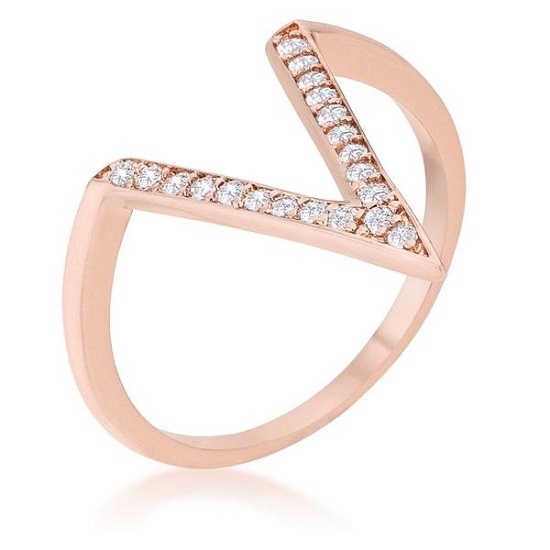 The balance of this ring makes it eye-catching and symmetrical. This style will never go out of fashion. Dreamy in yellow gold and diamond, it would work equally well in rose gold or platinum, with white or coloured diamonds. The pave twist design is another classic that continues to be favoured by brides all over the world. 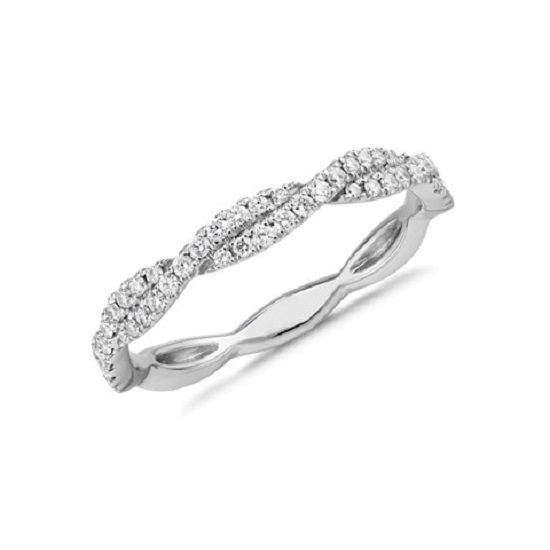 The delicate twist of the pave band crosses over, symbolising the infinity of love. This style works well in any metal. In platinum and diamond, it has an elegant, timeless appeal that will never date. This type of ring would be especially great for those who value tradition and classic design. Those who favour a more modern look will love this unusual ring. The deep V-shaped design is encrusted with tiny pave stones, adding sparkle in all the right places. A simple rose gold band tapers to a sharp point that can be worn up or down. This style can be made alongside a matching wedding band, layered as stacked rings or kept as is for a dramatic, eye-catching effect. 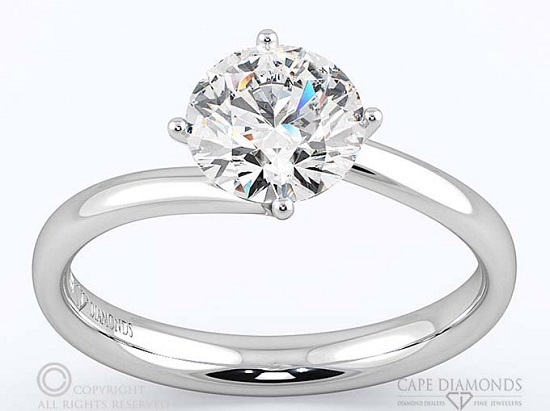 Another classic, this handcrafted solitaire ring from Cape Diamonds has a classic twist with a claw setting and a round stone. Available in a choice of platinum and white gold. 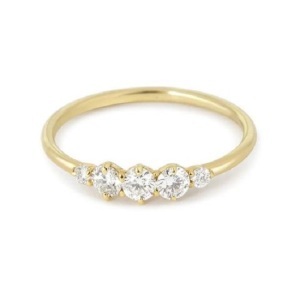 The modern twist takes a beloved classic, turning it into a delicate modern ring that is sure to dazzle any bride. Looking for a custom-made ring that is just right for your budget and preferences? Cape Diamonds offers the finest selection of rings, made in Cape Town. Get in touch today to find out more about our custom engagement rings.